Vehicles for the rogue in you. The Star Wars Rogue One Deluxe Class I Vehicles Wave 1 Case takes you to a galaxy far, far away with fantastic vehicles - each of which has a 3 3/4-inch scale action figure! 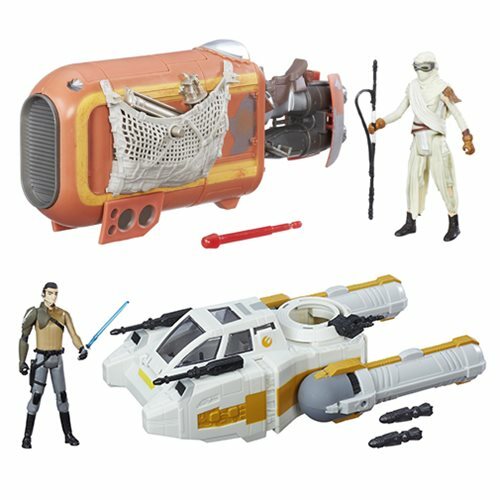 Each one has moving parts and storage for extra goodies - maybe droids, maybe space junk, and maybe weapons. Ages 4 and up.